The realization of various projects of restoration and value enhancement of archaeological property has led to diversify the areas of activity of our company. 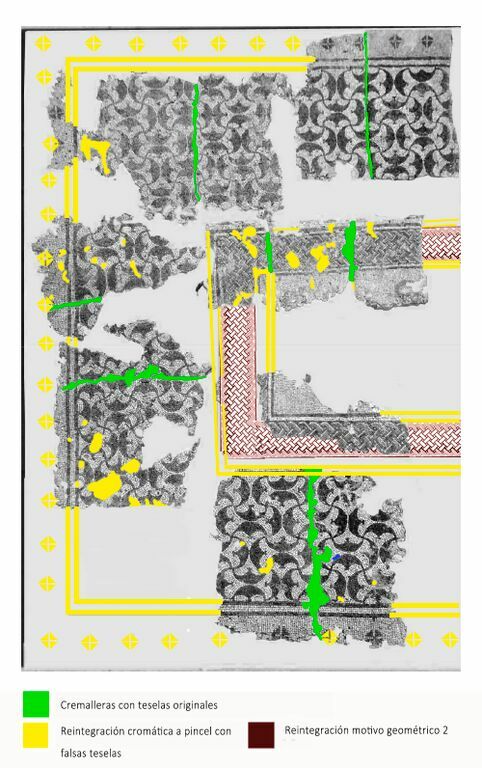 We believe that the dissemination, management and assessment are closely linked to heritage conservation and restoration of cultural property, because thanks to these tools culture can be one of the main socioeconomic resources. Technical tours and development of training materials. Training: children’s workshops, restoration courses for adults, specialized monographic courses. Lectures and conferences. 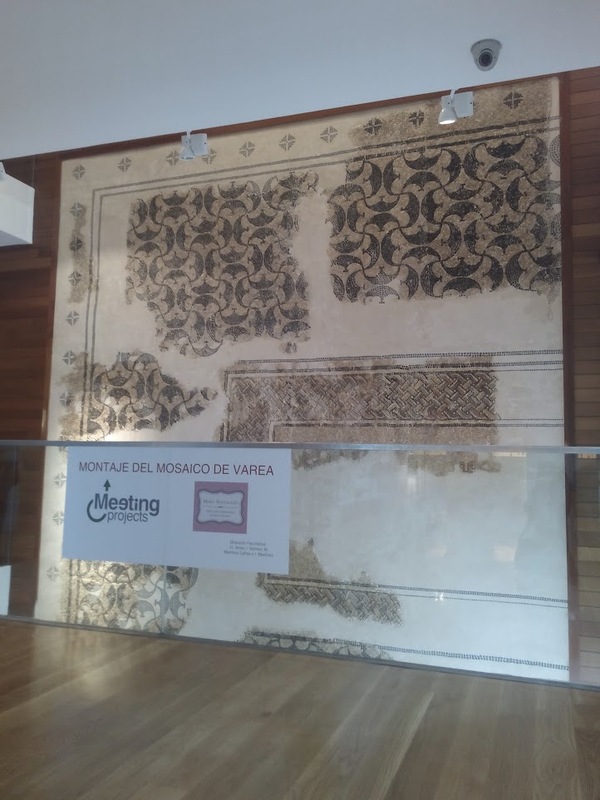 Maintenance, conservation and opening of monuments and archaeological sites. Dinamisation and valorisation activities of cultural movable and immovable property. 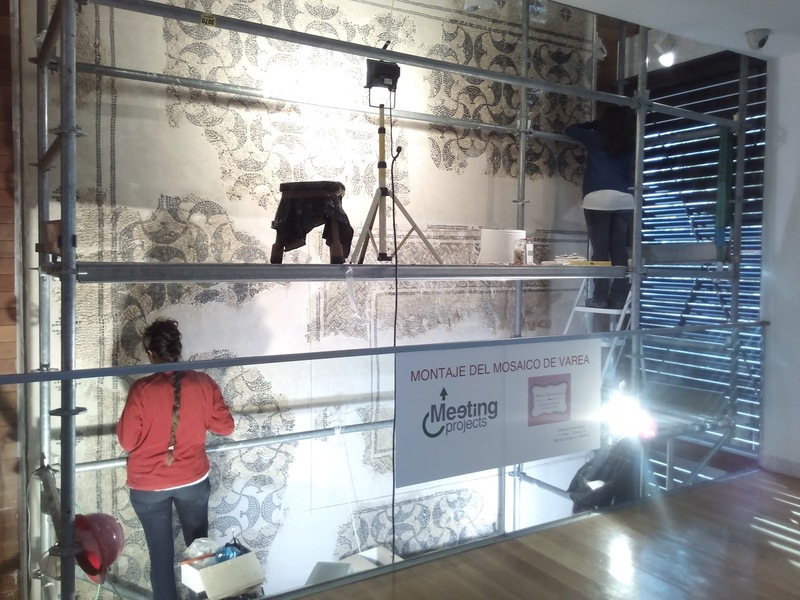 Technical design of temporary exhibitions. 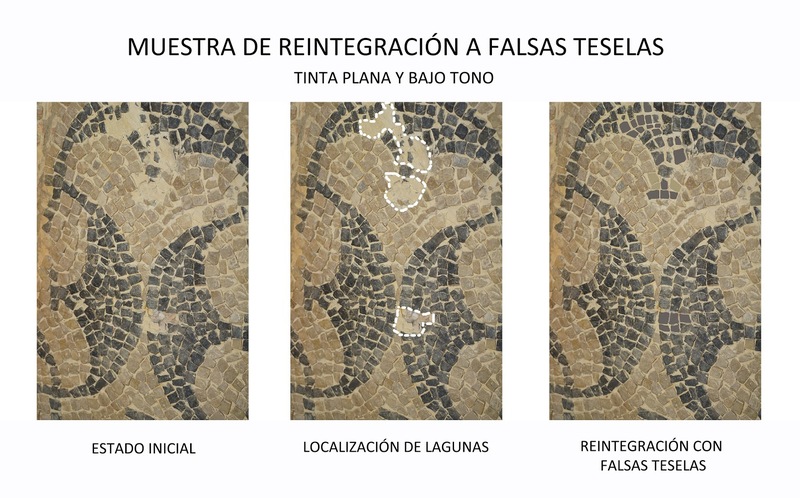 Assembly, reintegration and value enhancement of Roman mosaic of Varea (Museum of La Rioja, Logroño).